1. Take vacations: Travel with your partner to escape the pressure of being parents for once. Book a vacay with your partner and try relaxing, while also resolving problems you have both been having with each other. Related Link: Celebrity Baby: George and Amal Clooney Welcome Boy & Girl Twins! 2. 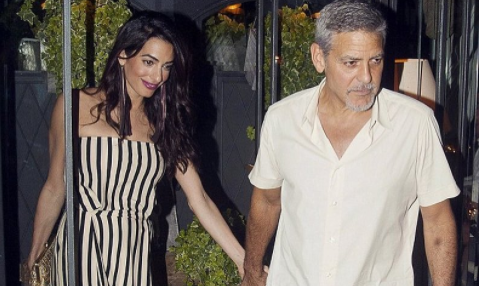 Go on date nights: Like the clooneys, go on a date night and enjoy each others company while being away from the kids. Making weekend date nights a routine will improve your relationship as a couple. 3. Seek relationship advice: Seeking dating advice for certain problems you are having in your relationship will help things stay healthy between you and your partner. Even couples who are currently heathy in their relationships should keep some advice on the radar in case problems surface. Do you think we will see the twins in the public eye soon? Let us know what you think in the comments.